My great aunt Carol has a painting of a blue crab in her home in Charleston, SC that Mack and I ADORE, so I had to purchase this little guy and add the matching blue towels in our bathroom. Doesn't it look like he's smiling at you?! SO cute. These agate coasters are my favorite! I love how unique each one is and the gold plating around the border is so beautiful. Mack and I try to eat dinner together every night at the table with tea light candles lit. It's such a nice way to catch up about our days and have nice conversations together. 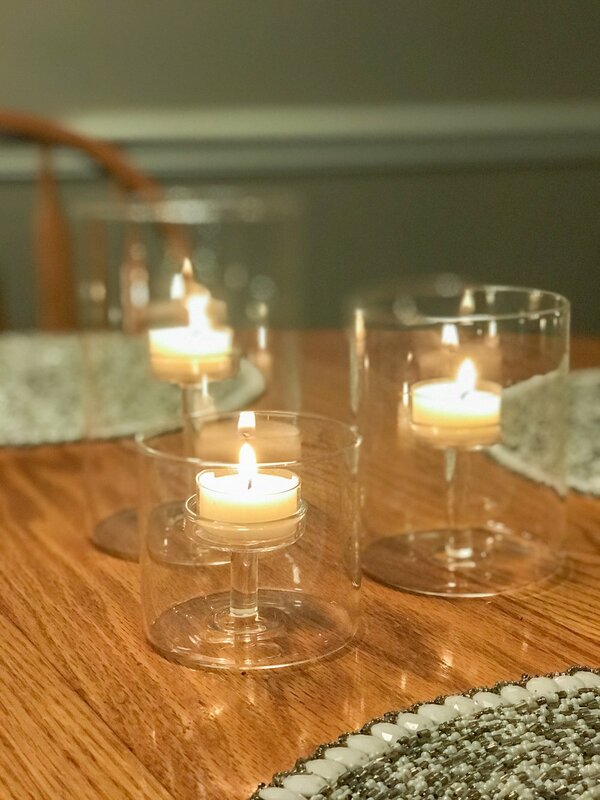 These tea light candle holders are so elegant and modern looking and I just LOVE the way they look on my dining room table! My favorite thing about my apartment is my living room furniture set. You may notice it looks like my wet bar and thats because I DIYed all of my living room furniture the same way! I spray painted the border edges and added marble contact paper to the bottom. Everyone is so surprised when I tell them it's not real marble! I made this bar cart and had it in my old apartment when I lived alone, and since Mack and I have moved in together he has made it his pride and joy (besides the fairy lights). I think it looks so cute the way he has it! Top shelf is liquor, middle shelf is bourbons, and the bottom shelf is a few of my most precious wine glasses on display. I'm such a sucker for anything Anthropology Home and Kitchen. 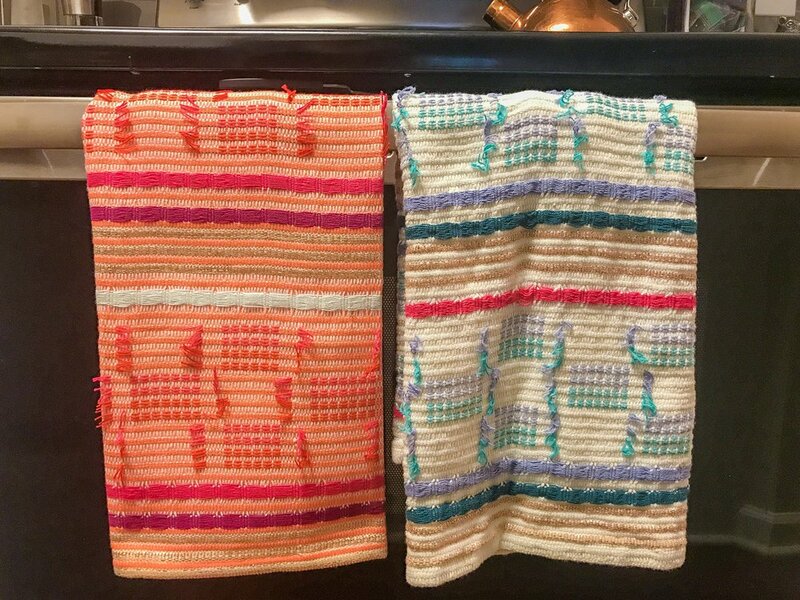 These dish towels actually have gold shimmery threads and they make such a statement in our kitchen! Picked this sweet rose gold mirror wall decoration up from the dollar section in Target for only $3! I have it in my entry way and I get compliments on it every time we have guests!